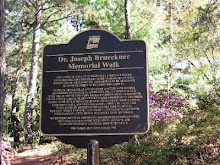 Brueckner Rhododendron Gardens, a City of Mississauga park, was used as access to remove a large poplar tree on private property that abuts the gardens at the Lakeshore Road entrance. 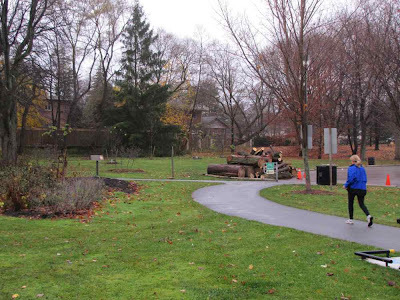 This page is Part 3 of large tree removal at the BRG in Port Credit, Ontario, where the final cuts are made, the logs hauled awy, and peace restored to the Lake Ontario garden park. See also Part 1 and Part 2 for earlier photos. 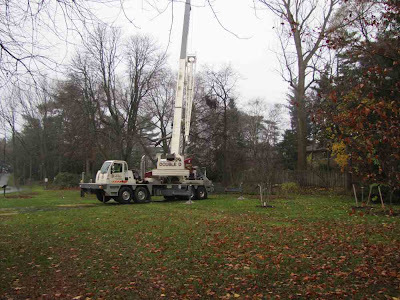 In this photo, the wheels of the level crane truck clear the lawn. 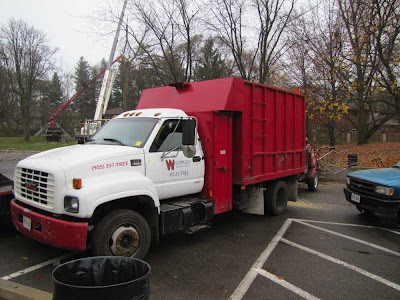 This truck was moved into place to hoist a working platform for crew. The two man crew worked in tandem, measuring and marking the new cut lines, then chain sawing through each section. Close up of crew cutting trunk with chain saw. 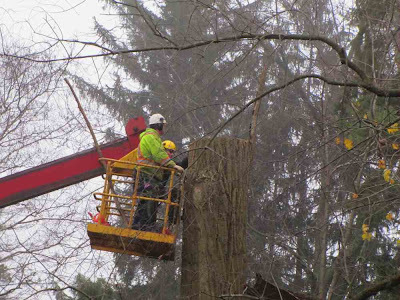 Crane lifts large section of tree to place in parking lot. Brown debris is what's left after earlier sawn sections had already been removed to the chipper truck. 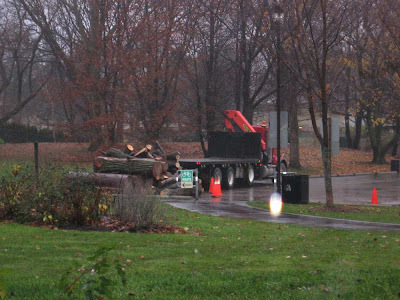 The large logs were cut and stacked pending removal in the BRG parking lot. Some sections were to be recycled into pallets. The logs shown in cross section view appear to be in fairly good shape, but this was definitely not the case. One large branch might still appear healthy, but overall the tree was rotted out. Thanks to the crew for their graciousness and attention to safety towards the myriad photographers and onlookers who attended the tree removal. 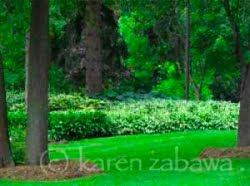 And then the trucks, cranes, chippers and chain saws were gone, and the Gardens peaceful once again. 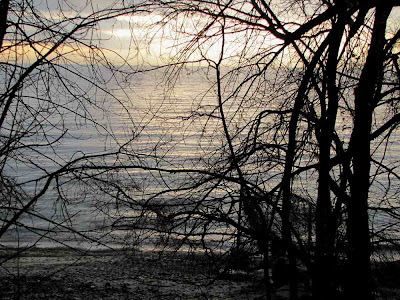 Another view of the winter sun low in the sky, overlooking Lake Ontario in Port Credit Mississauga. 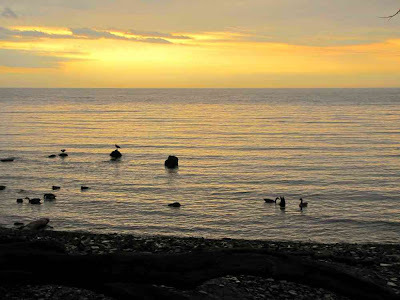 This bay in the picture -- Cranberry Cove -- is one of the areas that is included in the Christmas Bird Count on Saturday, December 19, 2009. 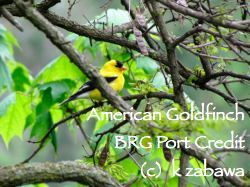 See South Peel Naturalist site for details of this and other bird counts. 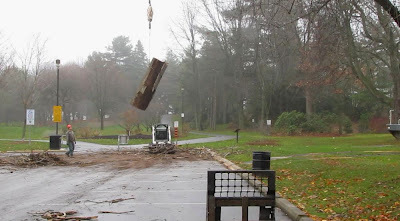 The next day, another truck and crew removed the logs, and one returned to take away the steel plates used to make a 'road' across the lawns. See Tree Removal Part 1 and Part 2 for earlier photos. Nice information on the blog. 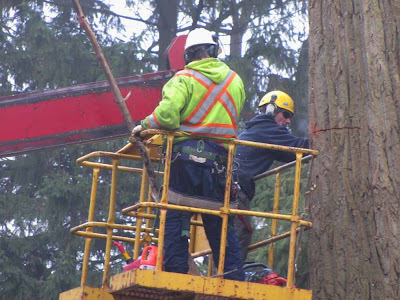 Removing large trees is a mammoth process and only experienced arborists who are completely insured to perform this task. We need to take all necessary precautions while removing trees so that nearby buildings, electric wire and other obstacles are not damaged. I know! I had no idea until I spent a day watching this process go off without a hitch. And this company also had to use public gardens as access, and to protect those plants, lawns, etc. Hats off to those of you who can do this incredible task! Sounds like a well organized effort, safe effort. 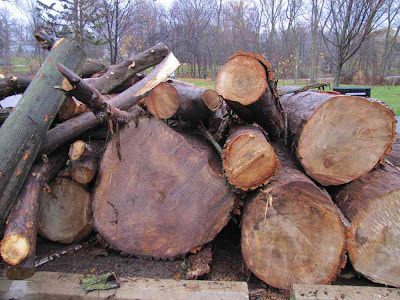 It is always sad to lose an old tree. 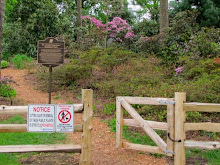 New signs at BRG Heritage Beds alert dog owners to keep pets away from rhododendrons.